KET supplies unique odor control package to large Delaware poultry processor. Large poultry processing plant situated in a small Delaware town needs to cover a large concrete equalization tank to contain and destroy odors due to their proximity to a neighboring elementary school. 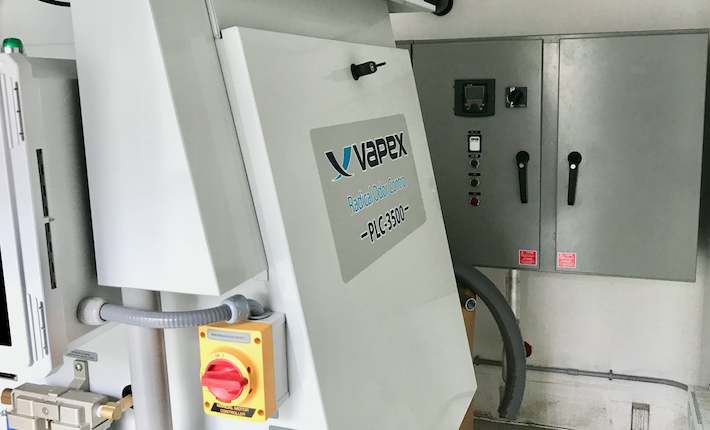 Bearing Construction was hired to cover an existing concrete tank and install a Vapex™ Milli in-situ advanced oxidation odor control system during the Fall and Winter of 2016/2017. 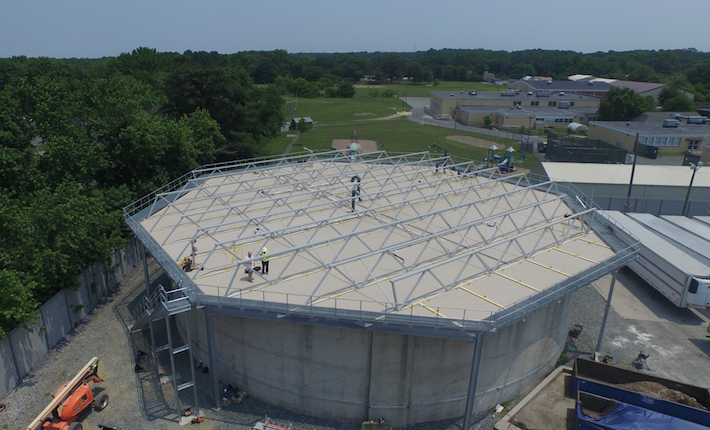 The challenge was to install an odor control cover on an old 105’ diameter, 33’ tall pre-stressed concrete tank without interrupting the plant’s processing of chickens and without doing any structural damage (adding loadings to the walls) to the old tank. Bearing Construction, KET and Orenco Composites came up with a unique truss and column arrangement that incorporates Orenco’s foam-core composite FRP panels to span the entire structure without any contact (except for sealing foam). Three Wilo TRS-90 submersible gear-drive mixers were installed under access hatches to prevent solids accumulation in the tank. 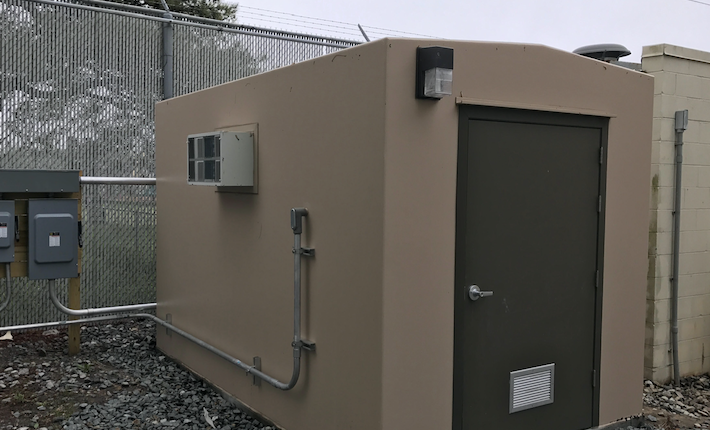 Orenco Composites also provided an air conditioned pre-fabricated FRP building to mount the Vapex™ Milli unit which generates the oxidant “fog”. Also in the building are variable frequency drives for the three mixers. Six (6) Vapex™ fogging nozzles were installed atop the tank cover to inject the deodorizing fog.